Having clean hair can completely change an individual’s mood, energy levels, and outlook on life. However, as people get older, it can be extremely challenging for them to care for their own hair while receiving personal care in Georgia. In particular, the elderly and people with physical handicaps may find it taxing to clean, dry, and style their crowning glory every day, especially with their restricted mobility and health issues. Oftentimes, they require assistance in completing their hair care routines. Determine whether your loved ones are still capable of caring for their own hair. This step is important since most seniors and people with physical challenges who avail of home care services in Savannah Georgia don’t want to lose their independence and you offering help may strike them as a sign of you depriving them of their freedom. To figure out whether they would appreciate a hand, we suggest that you ask them about everything they might need help with. Or you can also simply observe them and check if they have problems doing their own hair. Only offer to help if they ask or if they look like they need help. Figure out what kind of hairstyle your loved ones enjoy and what style works best for them. If your loved ones have had the same hairstyle ever since you could remember, it’s possible that they may not appreciate you tampering with their hairdo. However, if the style is too complex, then an easier one may be best for you both. Simpler hairstyles can make your work a lot easier, as well as reduce the stress that they may feel. 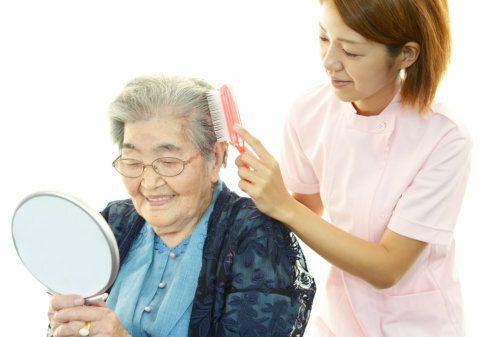 Moreover, with a shorter hairdo, your loved ones may be more capable of fixing their own hair more easily and wouldn’t require skilled nursing. This entry was posted in Hair Care and tagged clean hair, family caregiver, hairstyle, home care. Bookmark the permalink.